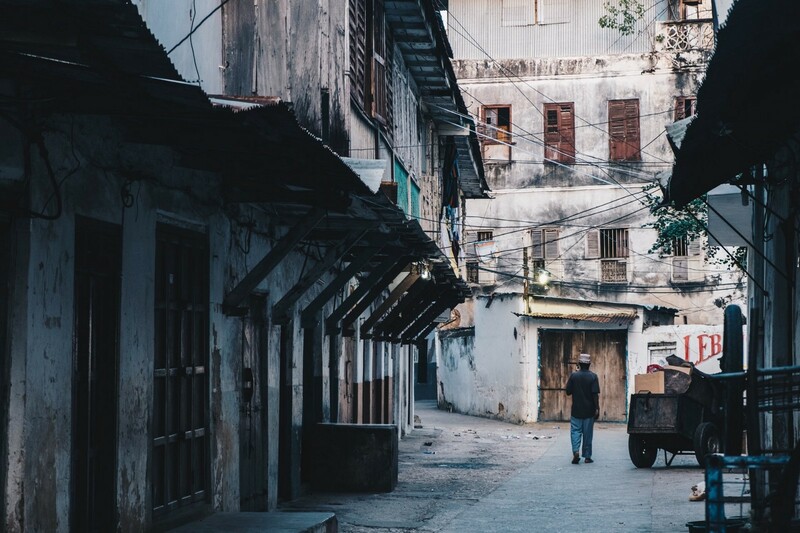 Stone Town isn’t your typical African town; it is a celebrated area where you can wander for hours through a maze of narrow streets and architectural angle, easily losing yourself in centuries of history. It is a sensory experience not to be found anywhere else in the world as each twist and turn brings something new — a Persian bathhouse, a former palace, exquisite gardens, or even a coral-stone mansion with ornately-carved doors and high-reaching balconies… all of it hugging the Indian Ocean. Once you arrive, you can tell almost immediately that Stone Town has stories to tell! Set right on the coast of the Indian Ocean, Forodhani Gardens is a social hub for tourists and locals alike. Originally laid out in 1936 to commemorate the Silver Jubilee of Sultan Khalifa, the gardens offer a wonderful food market every night where several food alfresco stalls serve up a delicious selection of local Zanzibar cuisine. You can eat your heart out for a few dollars here — from the famous Zanzibar pizza to fresh seafood, meat kebabs, chunky sweet potato, coconut bread, garlic chapati, grilled cassava, and even amazing fresh fruit selections. The beautiful ocean breeze gives off a relaxed ambiance and there is even a children’s play park to enhance the fun. Be sure to stop by after dark and spend a charming evening in these fine gardens. This structure is especially notable for its impressive architecture and history. With its pale-orange ramparts overlooking Forodhani Gardens and the ocean beyond, the fort was constructed in the late 17th century on top of an even older building and was used as a means of defense against the occupying Portuguese forces. In the 19th century, it became a prison and then became a ladies’ tennis club just before the 1964 Revolution. Today, the scale of the fortifications is still impressive and if you’re lucky, you may catch a live performance on the 400-year-old amphitheater inside the fort. Visitors may enter the fort for free and explore the towers and battlements, as well as the art gallery, curio market, and a pleasant cafe that turns into a bar in the evening. Unofficially known as the House of Wonders, the National Museum of Stone Town is located right on the seafront. It is the tallest and largest building in Stone Town and was built for ceremonial purposes by Sultan Barghash in 1883. This landmark structure rises in impressive tiers of slender steel pillars and balconies overlooking the waterfront. It includes a clock tower and some enormous carved doors, which are said to be the largest in East Africa as they were built so wide for the sultan to pass through on an elephant. 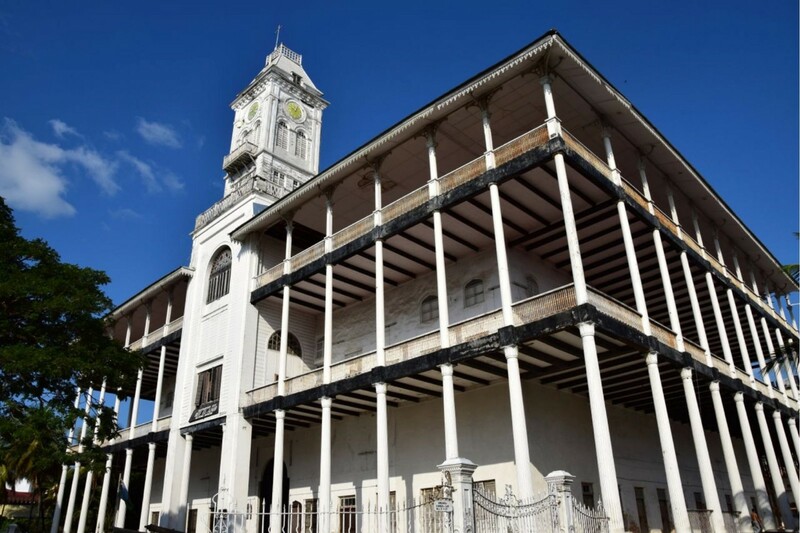 In its heyday, the House of Wonders was likened to a David Copperfield chamber because it was the first house in Zanzibar to have electricity, running water and an elevator. Sadly, a large section of the balcony collapsed in 2012 so the building’s interior is closed to the public pending the completion of renovation efforts, but the exterior is a monumental sight in its own right. This is the hub of Stone Town’s commerce where traders sell a wide range of groceries, pans and traditional kangas to fresh fish, meat, and other local produce from all over Zanzibar. Taking place every afternoon, several stands also sell items that make perfect souvenirs to take home as mementos of your time in here Stone Town. If you’re up for it, a trip to the fish aisle is a great local experience that always attracts plenty of action as the locals bargain and barter for the best fish prices amidst a competitive atmosphere of banter and bravado! You can also buy tons of food here for just a few dollars as there are several stalls displaying some of Zanzibar’s finest spices, freshly baked bread, fruits and vegetables all beautifully arranged in neatly stacked piles. The best time to head there is around 5 pm, when the evening traders begin setting up for the busy night ahead at the same time as the closing day traders are closing for the day, resulting in an exciting riot of noise and color. This impressive four-story building with green ornate balconies and a sculpted clock tower was first built as a dispensary during colonial times in the 19th century. It is one of the most attractive landmarks on the waterfront and boasts a rather long and interesting history. The Old Dispensary was commissioned by an affluent Ismaili Indian, Tharia Topan, who also acted as financial adviser to the sultan at the time. It served as a charitable hospitable for the poor before housing a couple of apartments, and has now become the town’s cultural center with its own restaurant along with several offices and shops. In fact, there’s a hookah bar on the second floor for those looking to bask in the town’s the nightlife as they overlook the beautiful scenery unfolding from the ferry terminal and the waterfront. Entrance is free so be sure not to miss this symbol of multicultural Zanzibari architecture in your travels to Stone Town. Also known as Prison Island, Changuu is a 20 to 30-minute boat ride away from Stone Town. It is home to dozens of rare Aldabra giant tortoises (thought to have been brought to Zanzibar from Seychelles and weighing an average of 200 kg), some of which are over 150 years old. There will be a chance to touch and take photos of the tortoises along with the colony of beautiful peacocks that inhabit the island. Back in the days, the prison was built to house violent prisoners and sick people from the mainland. Today, however, Changuu’s sandy white beaches, crystal clear waters, and the surrounding reefs make for a great snorkeling adventure. Visitors also have the opportunity to see some of the former cells that housed prisoners back in the 19th century. The view of the island is pretty amazing so if you’d rather not indulge in the tours, you can simply relax under the warm glow of the sun, until you head back to Stone Town. Commissioned by Sultan Barghash bin Said between 1870 and 1888, the Hamamni Persian Baths were the first public baths in Zanzibar. ‘Hamamni’ means ‘the place of baths,’ and it was called ‘Persian’ because it was built by Shirazi (Persian) architects. Given the high entrance fees, however, the baths were only accessible to the wealthy and were used as such until 1920. Although they are no longer in use as the tubs are all dried up and could use some serious restoration work, you can still peer through their gates and try to picture the social elite gossiping and bathing in a steamy setting, hundreds of years ago. No adventure is complete without your daily dose of caffeine and the Zanzibar Coffee House delivers beautifully. This is not some instant coffee-flavored powder mixed quickly with boiling water, but an authentic African brewed coffee made from roasted coffee beans directly from the plantations in the Southern Highlands of Tanzania. As the home of the best coffee in Zanzibar and set in the heart of Stone Town, the Zanzibar Coffee House evokes the nostalgic feeling of lost Arabian Nights. The Coffee House have their own professionally trained baristas who not only provide amazing varieties of coffee, but also assortments of freshly baked confectionaries and savory sandwiches. If your wallet agrees, head on up to the roof terrace to take in the view of the town as you indulge in a delicious breakfast or brunch. By Plane — The airport in Zanzibar is connected to the major tourist destinations on the mainland via scheduled flights. If you are coming in from Kenya, the principal carrier is Kenya Airways, with a transit stop in Nairobi. Direct international flights to Zanzibar are rare as they usually stop in Dar es Salaam. By Ferry — There are several sea ferry companies plying the waters between Dar es Salaam and Zanzibar every day. Keep in mind that some of these companies only accept dollars, pounds, or euros so be sure to have some cash in hand. The taxi ride from the airport to Stone Town is only around 10 km away and is pretty straightforward. Of course, if you already made arrangements with a hotel, then they will arrange your transfer direct from the airport and even around the island. Once you are in Stone Town, you will hardly need taxis, since the sights are usually within walking distance of the recommended hotels and lodges. Zanzibar is a year-round destination, but the peak season runs from December through February. The so-called rainy season is from April to June, but you can still expect some showers regardless of the season, even though they never last long. 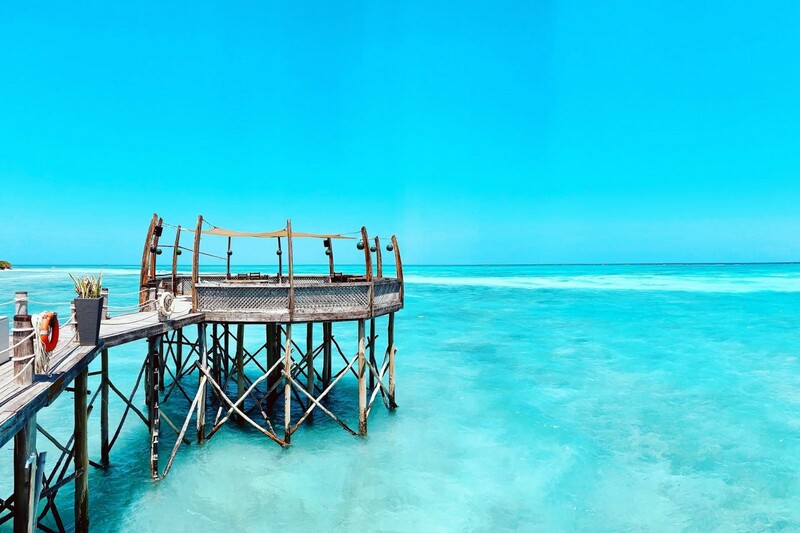 Are you ready for a Zanzibar adventure? 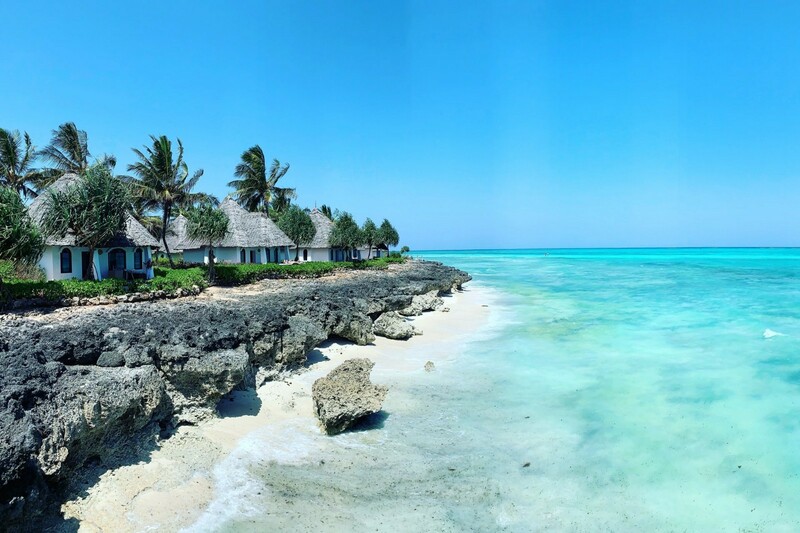 Check out these tours for an unforgettable Zanzibar trip! Originally published at Gosheni Safaris.